Spending your holiday in a lighthouse is an extremely unique way of vacationing. Croatia takes the cake when it comes to a lighthouse vacation. They are secluded and far from city noise. They are surrounded by nature and breathtakingly, haunting sunsets. You will feel rejuvenated. Istria, formerly called Histria, is the largest peninsula in the Adriatic Sea. This peninsula is located at the top of the Adriatic Sea between the Gulf of Trieste and the Kvarner Gulf. Istria is shared by three countries: Italy, Slovenia, and Croatia. 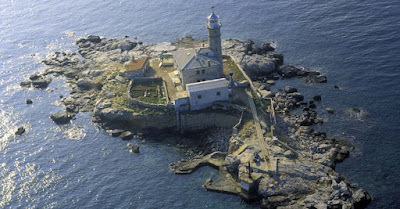 It is oldest lighthouse in Croatia (built in 1818) and is easily accessible. 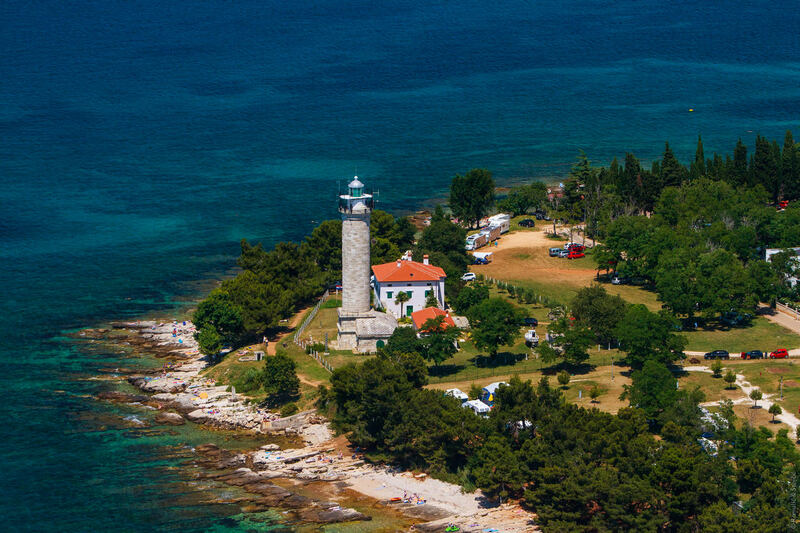 It is 9 kilometers from Umag. You are able to get to the lighthouse by car and park for free. This lighthouse has 4 apartments. There is a stone beach a mere 20 meters from the lighthouse, while the more adventurous will be able to go windsurfing. Also on the peninsula of Istria, is the Marlera lighthouse, which is located 4 kilometers from the town of Ližnjan. The large number of beehives in the local area has given this lighthouse the nickname of "Honey Lighthouse". 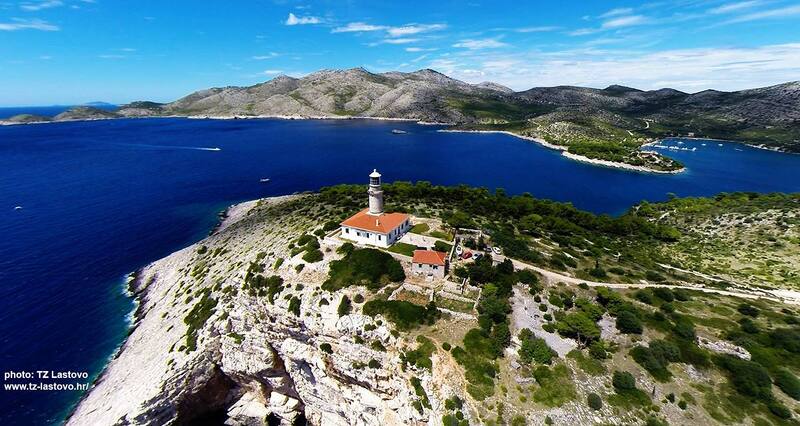 The picturesque view at the top of the lighthouse encompasses the magnificent Velebit mountain and Lošinj and Cres islands. If you enjoy luxury, this is the lighthouse for your family. At your disposal is an outdoor kitchen with barbecue, a 1500 m2 garden, plus three bedrooms. Part of all this luxury is the ability to hire a chauffeur and / or a chef for special occasions. The lighthouse also offers free parking and is very pet friendly. 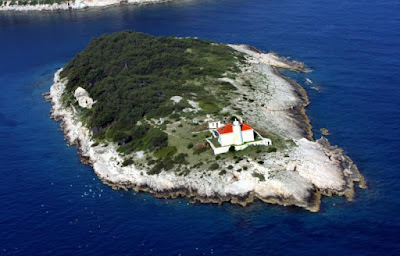 On the little rocky island of Sveti Ivan na pucini is located the Sveti Ivan (Saint John) Lighthouse. 20 minutes by boat from Rovinj gets you to the lighthouse. This lighthouse is made up of two apartments with 4 beds each. There is hot and cold water, electricity and drinking water. It comes with a pebbled beach nearby with a short shoal. Swimming is recommended far away from shore because of strong currents near the shore. 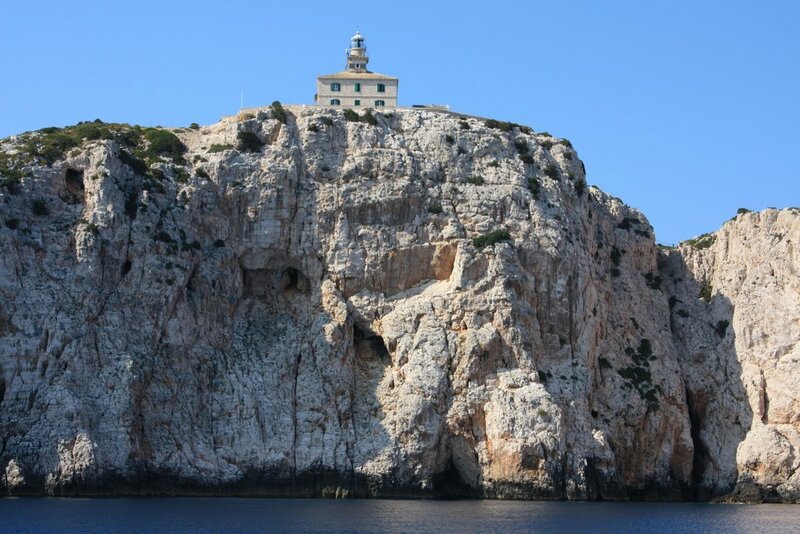 This lighthouse is located on a small, rocky island two kilometers away from Pula. Porer is part of the archipelago belonging to Rt Kamenjak, which is a protected nature park. 15 minutes by boat from Premantura will get you to this lighthouse. Porer Lighthouse is comprised of 2 apartments. It has drinking water, electricity and a GSM signal. There is a local quote that states that Porer is located between heaven and hell. This is because of the extreme differences between the heavenly view from the top of the lighthouse during nice weather and strong storms and winds during the winter. 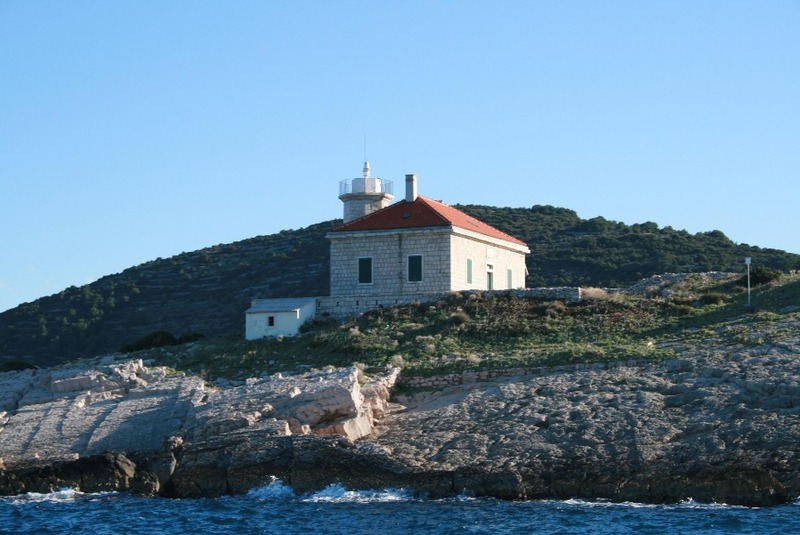 The Veli Rat Lighthouse on Dugi Otok was built in 1849. 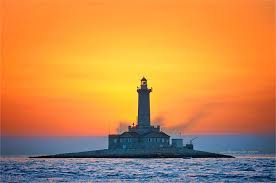 It is one of the most popular lighthouses on the Adriatic. Visitors are compelled to reserve years in advance because of this popularity. Veli Rat is not as secluded as the other lighthouses in Croatia. It is surrounded by luscious green vegetation, a pebbly, sandy beach and a few small towns. It is easily accessible by car or boat. It is connected to the mainland land by the ferry line Zadar – Bribinj and is only 9 kilometers from Bribinj by car. This lighthouse has two apartments with a grounds keeper. There is a nearby ship wreck for those who would like to a little diving. 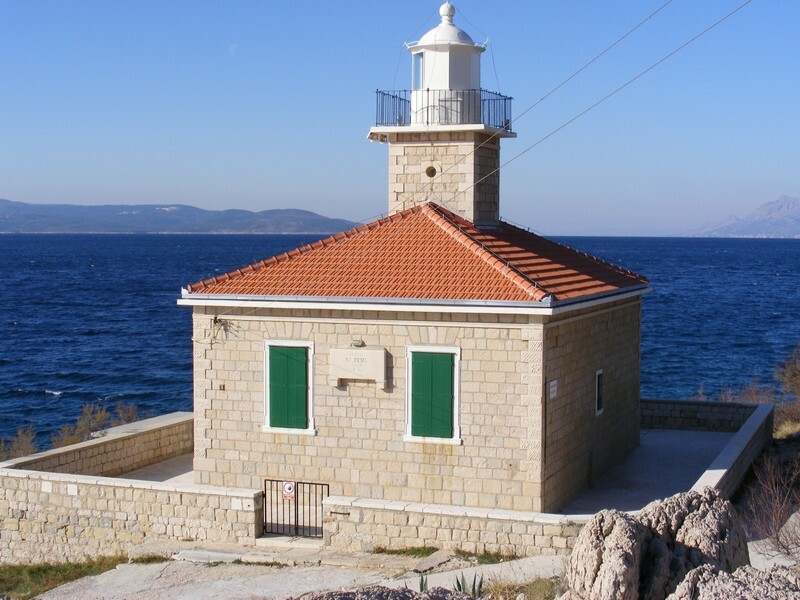 On Prisnjak Island, not far from the west coast of Murter Island, is the location of Prisnjak Lighthouse, which was built in 1886. It is on the southwestern coast of the islet. It is 15m from the sea and its light is 19m above the sea.There are plenty of islands and islets in the local area. This lighthouse is surrounded by pine trees and is the ideal destination for a quiet, relaxing holiday far, far away from the bustle and hustle of city life. Prisnjak Lighthouse is a mere 10 kilometers away from the magnificent National Park Kornati. You can get to Murter across the bridge that connects it with the Mainland, and then it takes another 20 kilometers until you reach Murter village. From Murter village it is another 45 minutes by boat to get to the lighthouse. There is just the one apartment with 2 bedrooms with 2 beds in each room. Drinking water, electricity, and GSM signal is available. Fortunately or sadly, it depends on how you view it, there is no lighthouse keeper. Guests are prompted to explore other local beaches on the island, which are not really child friendly. Sv. Petar (Saint Peter) Lighthouse is just 800 meters away from the center of Makarska, a popular port for tourists on the Croatian Dalmatian coast. There is one apartment with 4 beds plus one extra bed. Drinking water, electricity, and a GSM signal is supplied. There is no lighthouse keeper and the lighthouse is pet friendly. Guests are recommended to take full advantage the rocky beach just below the lighthouse. 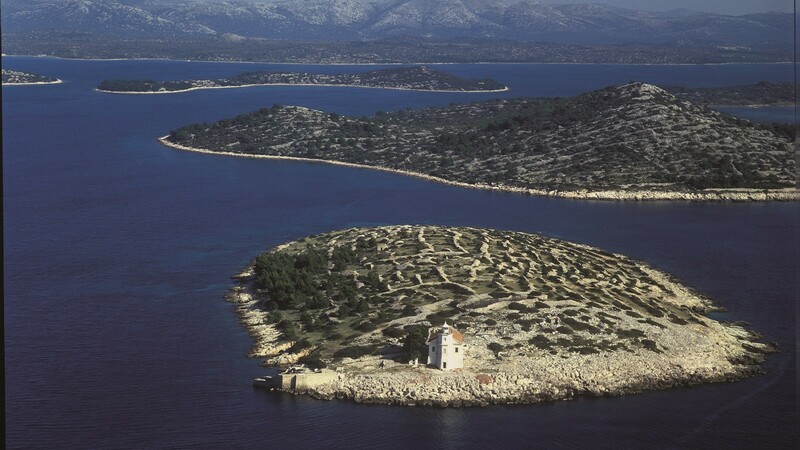 Plocica Lighthouse is situated on Plocica Island between Hvar and Korcula. 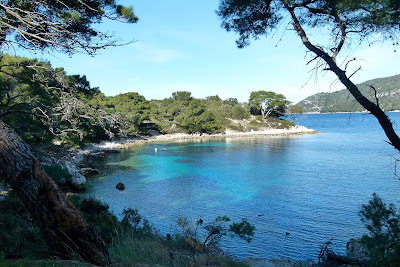 You can get there by boat from Prigradica on Korcula. There is accommodation for larger groups because there are two apartments. One apartment can sleep 6 and the other while the second can sleep 8. It also has drinking water, electricity and a GSM signal. The island is well suited to divers due to the abundant sea animal and sea plant life. Susac Lighthouse is located on a deserted island 24 kilometers west of the island of Lastovo. Because of its 100 m elevation it is not recommended for people with respiratory problems. There are 2 apartments with 4 beds each. It has drinking water, electricity, a GSM signal and a lighthouse keeper. On Lastovo, one of the more distant​ Croatian islands, ​there is another very impressive lighthouse, Struga L​ighthouse. It s​u​round​ed with a hundred year old pine forest and still fascinates​ tourists​ by being located at​ the edge of a 70 m cliff. 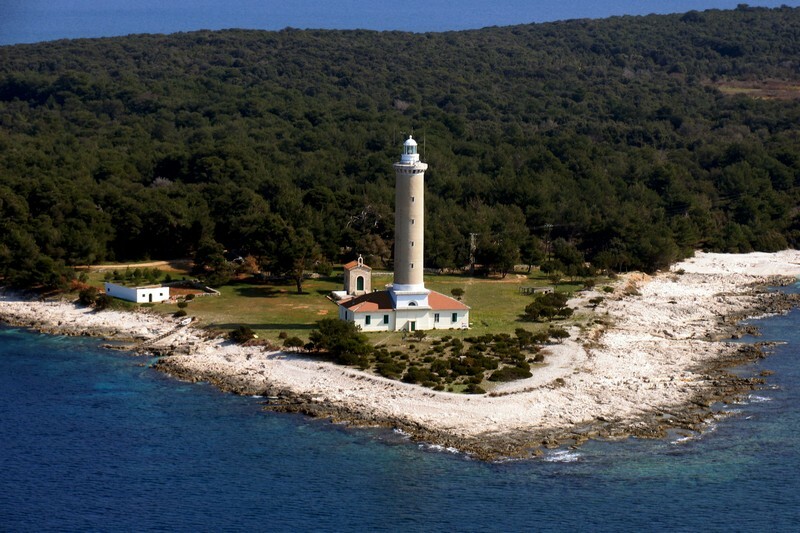 You are able to get there by the ferry Split – Ubli and then drive by car to the lighthouse. Drinking water, electricity and a GSM signal are supplied. There are 4 apartments in the lighthouse and guests have a secured parking space. This lighthouse is also a divers delight. The sea that surrounds the lighthouse is chucked full of copious quantities of various fish species and very large crabs. In the 19th century, a 18 kg crab was caught. This area also boasts the largest coral in the Adriatic weighing in at over 45 kg. Palagruza is a small, remote Croatian archipelago in the middle of the Adriatic. 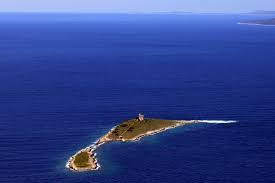 It is made up of of one large island, called Vela or Velika Palagruža, and one small island. 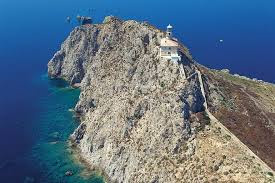 High atop a steep and picturesque hill of 90 m is the lighthouse Palaguza. It is composed of two apartments with 4 beds each. Drinking water, electricity, and GSM are provided. The lighthouse was built 1873rd on the islet Host at the entrance to the port of Vis. It consists of a small octagonal stone tower and a ground-floor building total area of 80m2. The apartment is luxuriously furnished and has 2 bedrooms (16 and5 m2 - each with its own bathroom), kitchen (15 m2), living room (18 m2). With a spacious stone terrace that surrounds the lighthouse overlooks the sea and the harbor of Vis, a special attraction are the sunrise and sunset. Lighthouse keeper is not present, therefore the guests have maximum privacy. On the north side of the island lies underwater archaeological site, and the configuration is attractive for all kinds of underwater sport activities. Boat dock is on the west side where a footpath leads through pine woods to the lighthouse.